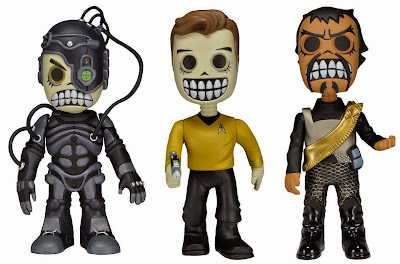 Skele-Treks are what happen when you mash up Star Trek with Day of the Dead inspired skeletons. They're cute 5" tall vinyl collectible figures. Coming soon - Captain Picard! You can buy all three figures from Series 1 at the same time. I love that they are packaged in little boxes that look like transporter beams! Here's Captain Kirk from The Original Series. You can also grab one on eBay. 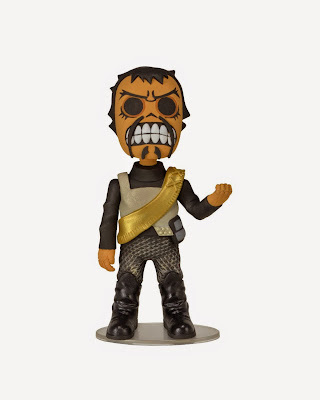 Klingons look really scary when mashed up with skeletons! Klingon Skele-Treks are also sold on eBay. 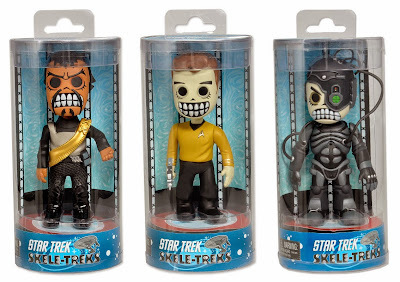 The Skele-Treks Borg figure is available on eBay and on Amazon. 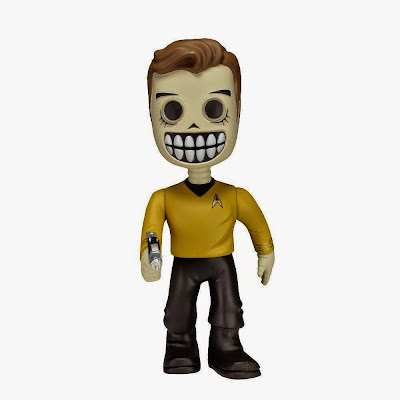 They even make Skele-Trek shirts now. 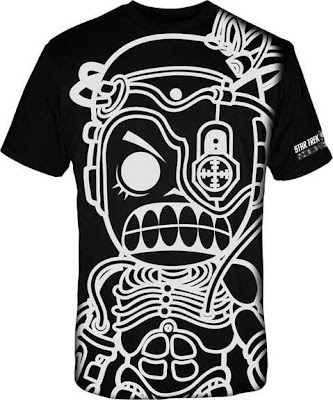 Here's the Borg shirt for men. It's also available on Amazon. 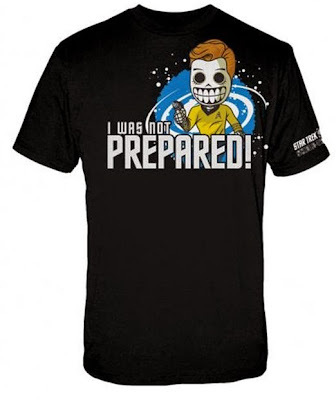 Here's the Captain Kirk Skele-Treks t-shirt.